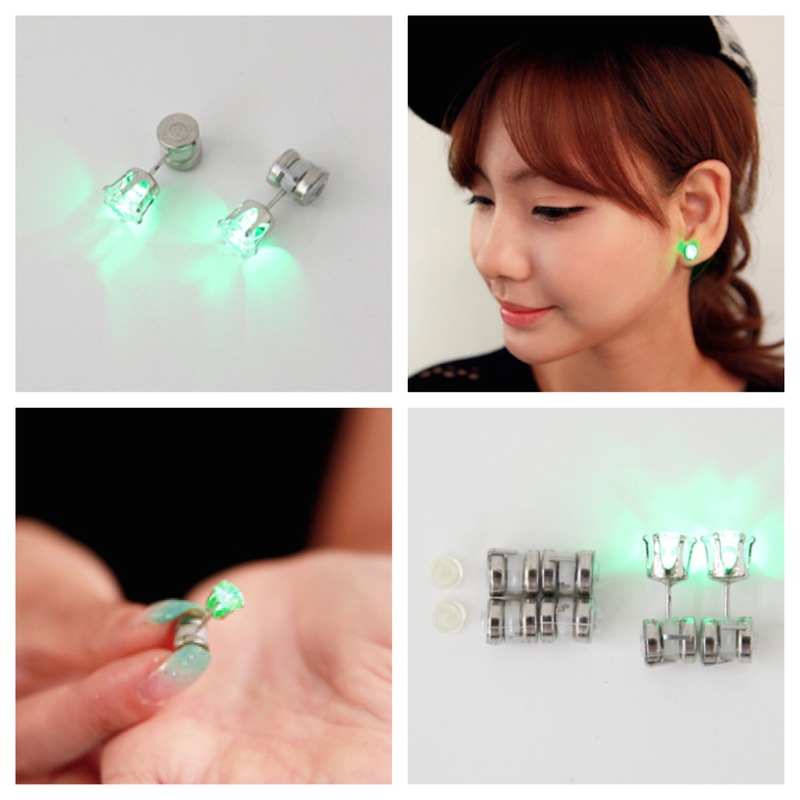 New flashing green Night Ice LED earrings! 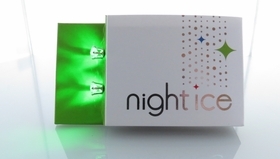 Light up the entire scene with new Night Ice ® Flashers! They are the perfect outfit or costume enhancers. Take any event or outfit to the next level when it's game time. Check out Emilio Dosal sporting Night Ice LED earrings during his amazing 'So You Think You Can Dance' audition! Night Ice flashing LED earrings light up with a brilliant LED that flash on and off behind the brilliant crystals. 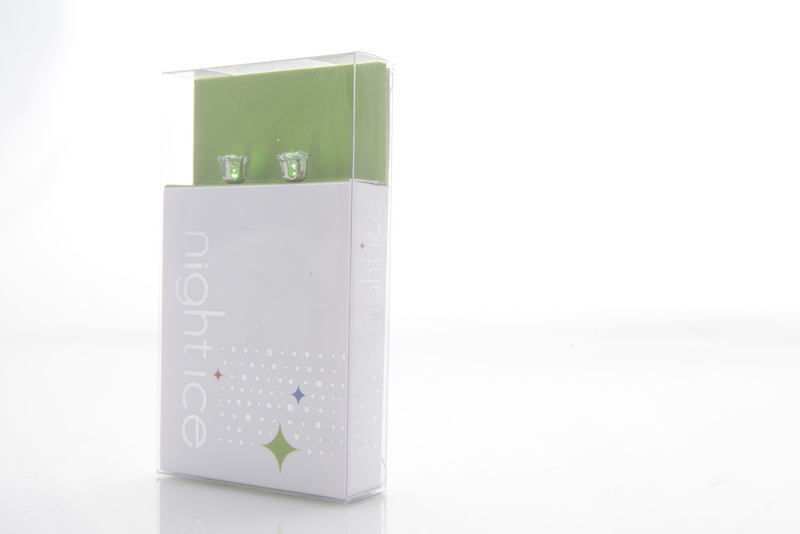 Flashing Night Ice LED earrings have a brilliant crystal stone and flash on an off when you attach the batteries. 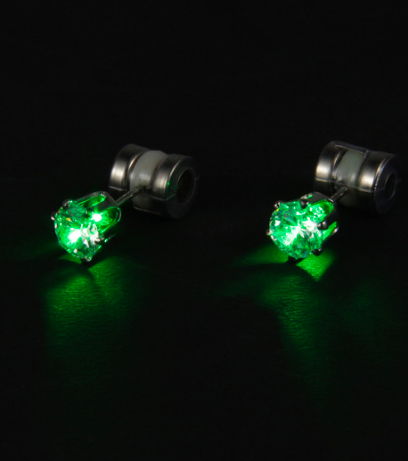 Flashing light up earrings earrings are the ultimate accessory for any flashy outfit or costume. Think Halloween, 4th of July, dance parties, and the playoffs. 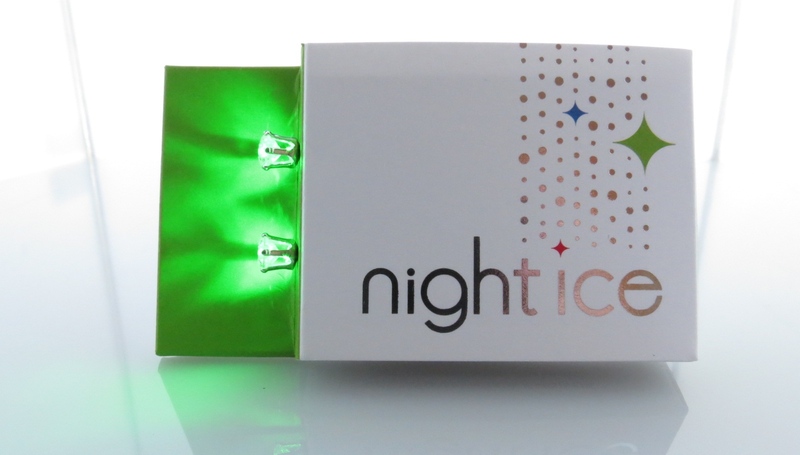 New Night Ice Flashers are perfect gifts and party accessories. Roll into a dance party with flashing crystal earrings you can turn on and off and see what happens. You'll be the baddest cat on the dance floor. 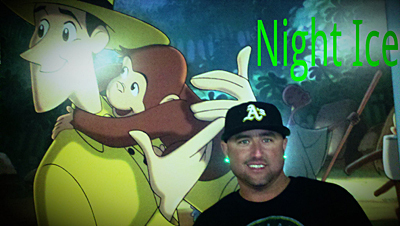 :) Promo code 415 gets you 10% off at checkout! Buy a pair or two for a friend or for your boyfriend or girlfriend! 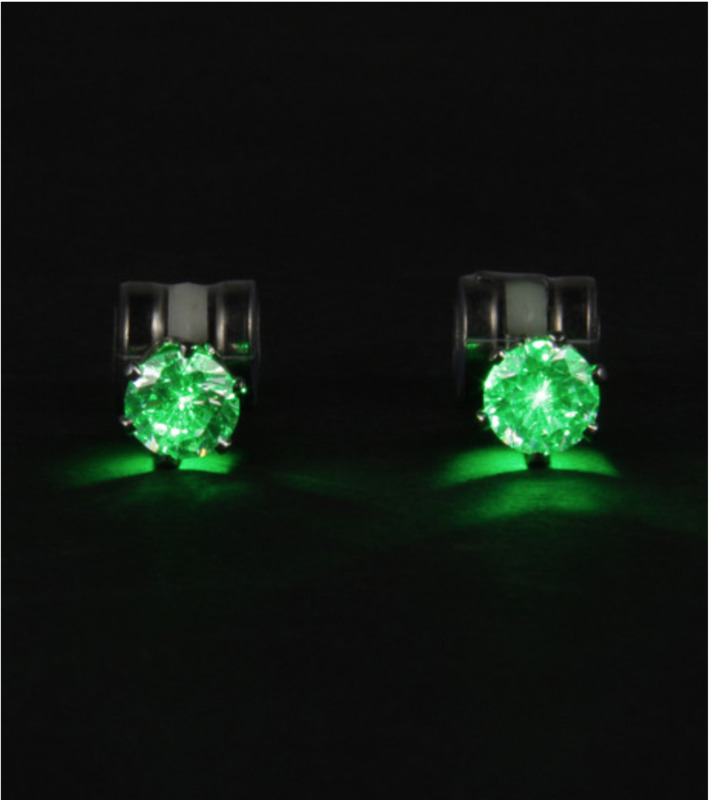 Flashing green LED earrings are perfect for parties, concerts and sporting events. Flashing LED earrings are perfect for team performances. They're also great to wear at any club! Flashing Night Ice LED earrings are synonymous with vacations. Night Ice earrings make people feel good. What's not to smile about a cool looking light and awesome jewelry? Let your Night Ice crystal LED earrings represent the power of positivity! Wear your flashing Night Ice earrings as brilliant crystals during the day. Then light them up at night when it's time to party!